Odoo image is secure, up-to-date, and pre-configured to work out of the box. 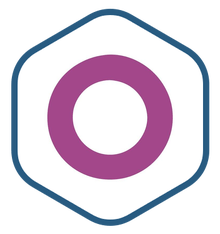 Odoo is an open source ERP and CRM platform, formerly known as OpenERP, that can connect a wide variety of business operations such as sales, supply chain, finance, and project management. Odoo is an open source Enterprise Resource Planning (ERP) and Customer Relationship Management (CRM) platform that can consolidate a variety of business operations, from supply chain and project management to accounting and HR, into one system. It is supported by a community of over 20,000 contributors. Odoo comes with messaging, CRM, and reporting modules pre-installed. Click the settings tab and you'll find over 3,000 others - bug tracking, project management, timesheets, MRP, recruiting, calendar, warehouse management, and much more - that can be deployed with a single click. Odoo also includes a powerful website builder for blogs, forums, and eCommerce sites that integrate with the entire supply chain. Odoo's modular design and extreme flexibility make it suitable for any type and size of business. All-in-one ERP and CRM system that can be used to manage any type of business operation. Includes a website builder and modules for messaging and Live Chat, sales, reporting, and more. Over 3,000 community contributed apps and modules can be integrated with a single click for operations such as billing, accounting, manufacturing, warehouse and project management, and inventory. Securely and efficiently manage users with access groups. Users can be assigned to more than one group, and groups can be inherited to efficiently control sensitive information.